A fence is only as good as the wood comprising it. 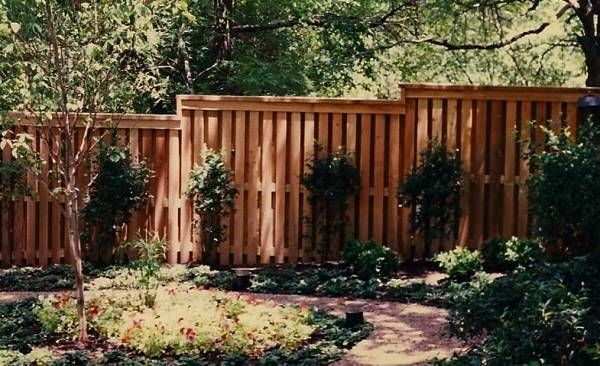 Whether you need industrial fencing or a beautiful addition to your home, fences in Texas face unique challenges. Lone star weather is more formidable than most of the country, and any fence here needs to be sturdy enough to stay standing. For that reason, we’ve reviewed the most common woods used in fences and broken down how they’ll do in extreme Texas environments. One of the most common fencing options, western red cedar is the best wood for dealing with extreme temperature and moisture changes. When the weather goes from hot to cold and back, the thermal expansion puts a strain on the wood fibers. Western red cedar is particularly resilient against this effect. A similar problem happens when wood is exposed to moisture and then dried repeatedly. The constant expanding and contracting will sap strength from most grains, but once again western red cedar is resilient in these circumstances. This makes it the wood of choice for fences in North and West Texas. In the more consistently warm and humid regions, red cedar is beautiful, but it’s not the best option economically. Southern yellow pine is probably the easiest construction wood to find anywhere in the U.S. It’s one of the cheapest options out there, and it is excellent in humid and damp conditions. Bugs, fungi, and rot are the chief enemies of wood in environments that are consistently wet. Southern yellow pine deals with these issues with pressure and chemical treatments. It’s almost unheard of to find untreated yellow pine, and the simple process makes it nearly impervious to the sources of rot that fell lesser woods. In South and East Texas, this is the go-to option. There are a few other standard kinds of wood for fences. None of them are as well suited to Texas weather as the two above, but they still have their niches. Redwood comes in a variety of toughness, and the high-quality heartwood is extremely strong and fairly rot resistant. The redwood has a gorgeous natural color that is appealing for residences. It costs considerably more than yellow pine alternatives, but in a humid climate, it can be the prettier option. Cypress is one of the cheapest fence woods around, and it is easily painted and stained. This makes it appealing for color variety, but it will struggle with Texas weather and need more maintenance. Spruce, like cypress, is a low-cost option. It does a little better with weather than Cypress, but it still requires more maintenance than almost any other wood you’ll find. Its primary appeal is aesthetic. Cypress fades to a natural grey over time, and it is the perfect choice when you value a rustic look over extreme durability. With the right wood, your fence can strike the best in both form and function. Keep these tips in mind, and your fence will do its job for years to come.